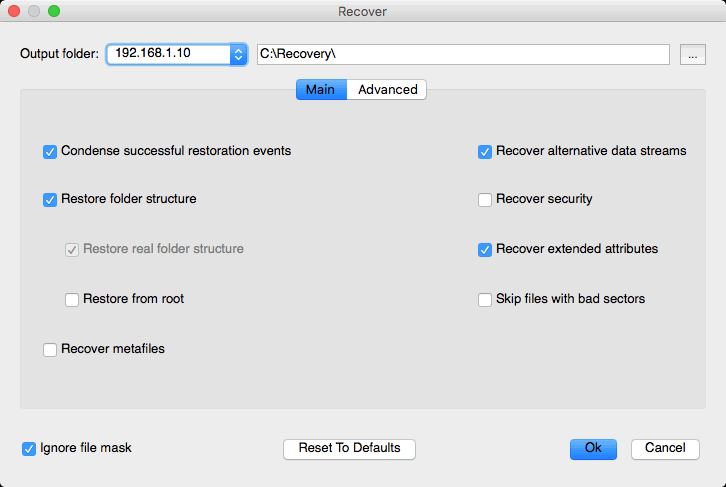 R-Studio Agent should be running on the network computer where data are to be recovered. Read the Connecting over the Internet topic to learn how to establish connection between R-Studio and R-Studio Agent over the Internet. The Port should coincide with the port specified for the R-Studio Agent . The Password: field is for the password of R-Studio Agent running on the remote computer. If you want to see the entered password, control-click the field and select Show password on the contextual menu. 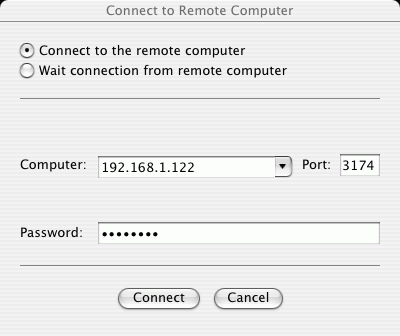 Note: If the remote computer is started with R-Studio Agent Emergency , leave this field blank. When R-Studio connects to the remote computer, it check if R-Studio Agent is present and its password. If there is no R-Studio Agent installed, R-Studio may try to remotely install it. See the R-Studio Agent topic for details.